Social Login allows your users to login and register with 30+ social networks. This product increases your vBulletin user registration rate by simplifying the registration process for new users and provides permission-based social data retrieved from the social network profiles. The product seamlessly integrates with your existing registration system and retrieves the user's avatars from their social network profiles. Your existing users can furthermore link their accounts to one or more social networks and can then use these social network accounts to login without having to remember another username/password combination. The installation is not very complicated and should only take a couple of minutes. Please follow the instructions carefully. 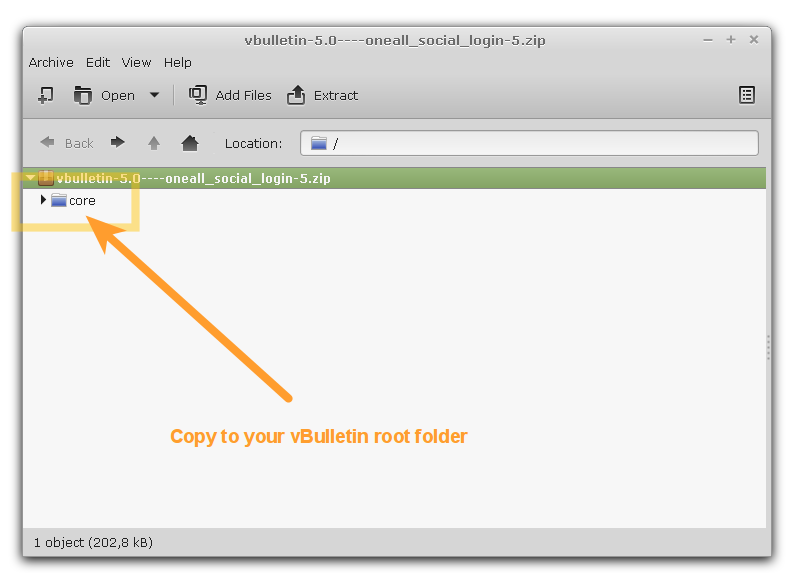 Copy the contents of the downloaded .ZIP file to the root directory of your vBulletin installation. 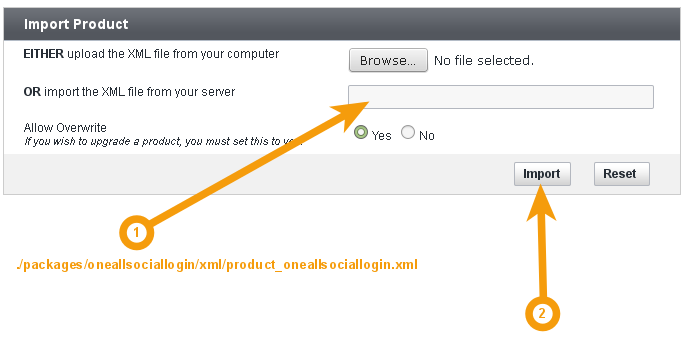 After having copied the files you must see the folder core/packages/oneallsociallogin in your vBulletin directory. Login to your vBulletin administration area, navigate to Products & Hooks \ Manage Products and then click on the Add/Import Product link. Enter the following value into the field OR import the XML file from your server and then click on Import. 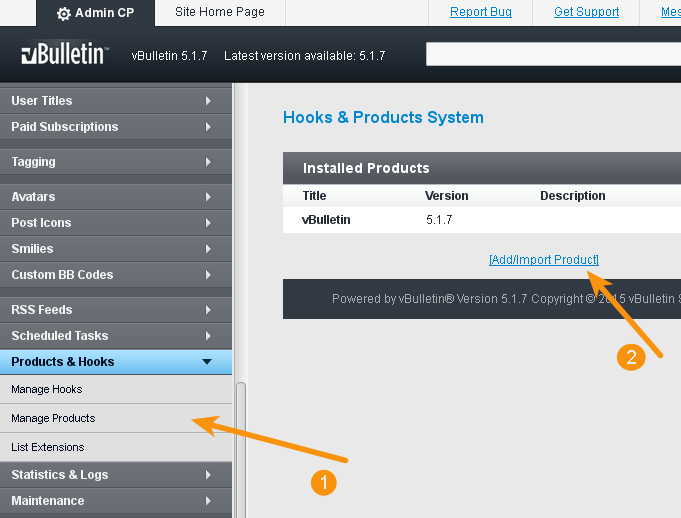 Logout from your vBulletin administration area and then login again to refresh the menu cache. You might not be able to open the configuration page of the package without logging in once again. Login to your vBulletin administration area, look for OneAll in the left navigation bar and click on Social Login. If you cannot see the OneAll group, then please try to re-login in order to have vBulletin refresh the menu cache. Click on the Autodetect Connection Settings button. You should receive a green success message if your server is able to communicate with our API. Your firewall must allow outbound requests (from your server to ours) on either port 80 or 443. Fill out the API credentials and click on the Verify API Settings button. You should receive a green success message if your credentials are correct. Select the social networks that you would like to use by ticking the corresponding checkboxes in the Social Login setup in your vBulletin administration area. Please note that many social networks require that the webmasters register their websites before being able to use their services. To be able to use Social Login you therefore have to register your website. This process is straightforward and takes only a couple of minutes. You can edit the templates in your vBulletin administration area under Styles & Templates \ Style Manager \ Edit Templates. Feel free to fork our vBulletin GitHub repository to contribute to the development of this product.